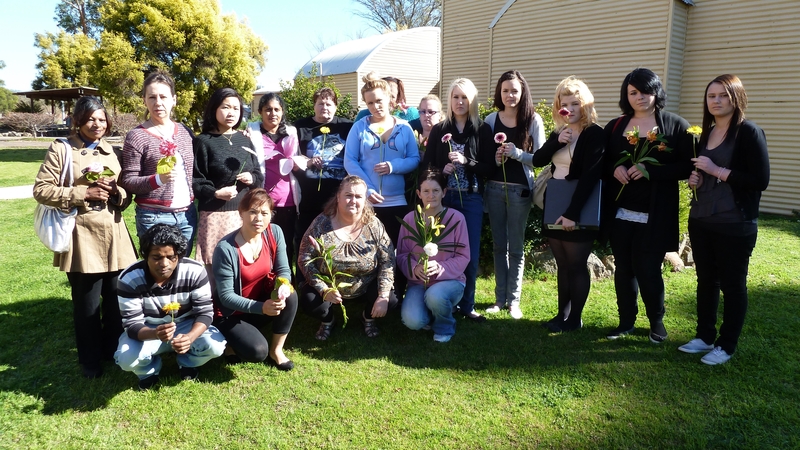 In response to the recent tragedy in Norway, a group of students from Cessnock TAFE have expressed their sympathy in a heartfelt gesture of support. To those who have lost their family and friends, we were so sad when we heard this terrible news. We care, and offer our deepest sympathy. This message was originally sent as an email to Norway, shortly after the tragic events occurred. Some of the students pictured are migrants learning English. Others are studying for the HSC or doing courses to develop their skills for work and training. 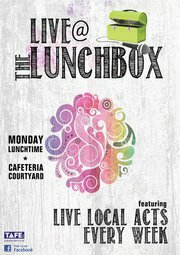 Each Monday around lunchtime Newcastle Campus provides live music in the S-Block courtyard, just outside the library. This is run by the Music Business students in conjunction with the Student Association during each week of classes. Click here to go to the Student Association page for photos. 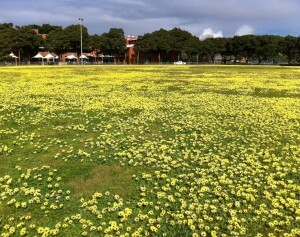 Wildflowers to usher in spring! 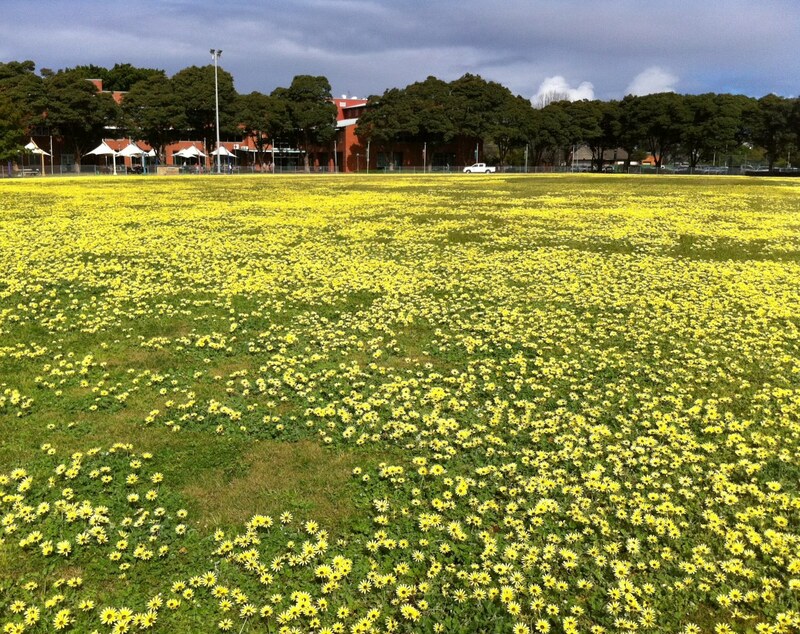 This is the view of the Newcastle Campus library building from the sports field, currently carpeted in drifts of beautiful flowers. I thought this should definitely be captured before mowing time!